​ What’s your opinion on relaxation in Aikido? Takemusu – the truce in war. Exploring the point of contact. The lesson not yet taught. The Tiger and the Goat: - all about a change of feelings and about being body aware. Of Aikido and of leaves in Kefalonia. Peace or Conflict? A choice? What’s your opinion on relaxation in Aikido? I’d like to share some thoughts and learn from those that might offer their own. I’ll say a little more on interpreting the term relaxation later but, regardless of its manifestation. Worry … paying a price that may never be asked. Swimming, floating, caught in a rip tide. Confined space… trapped… relaxed body is smaller. Boxing…. No endurance without relaxation, no speed without it either. Car crash… not suggesting you should drink and drive but drunks survive. Breakfalls… relaxed, don’t hold breath. Tension may be injurious. Note how all the above bear a direct relationship to the all important point of contact. How you interact with it determines the success or not of the outcome. Does that not apply to our Aikido? Tension, want and resistance are surely enemies of good Aikido. Success comes from, not adding, but in giving something up, like a great sculptor removing the worthless to reveal the perfection beneath. Even intention can create tension. The initiation of intent encourages the body to cooperate with that intent and subtly engages muscles. This tension is visible to highly experienced martial artists even though the person they observe may not be aware at all. This can be experienced in most if not all of Ki exercises. The relaxation we really want is a relaxed connectedness, no slack in joints and nothing you have to connect before moving. So, if you are going to have intention at all, let it be the intention to connect the whole body without tension. This brings us on to compliance or complicity in practise. How can you practise your art if the attacker goes along with every thing you do – even if your ‘technique’ is incorrect. If you apply a lock with force, are you not then becoming the attacker and therefore vulnerable to the skilled aikido practitioner. But of course they are not allowed to use it, because it is not their turn. Should not the attack be as meaningful as a real one within the sensible limits of practise and the receiver lead the attack without force to a place where the attacker’s power and balance are so weak that they succumb to the ‘technique’ without argument or even understanding of how it happened. Using force gives the other person information on power and direction. If you meet force with force then usually the strongest wins. As we know, this is not the principle we adopt in Aikido, in fact we might advertise the art as one in which a small person can use the power of a larger more powerful adversary against them. At times this appears laughable but with real skill, probably more than most of us will ever find, it must be possible. So, what do you think about complicity in practise, where the attacker ends up using the essential sensitivity and relaxation that should be the prerogative of the receiver. 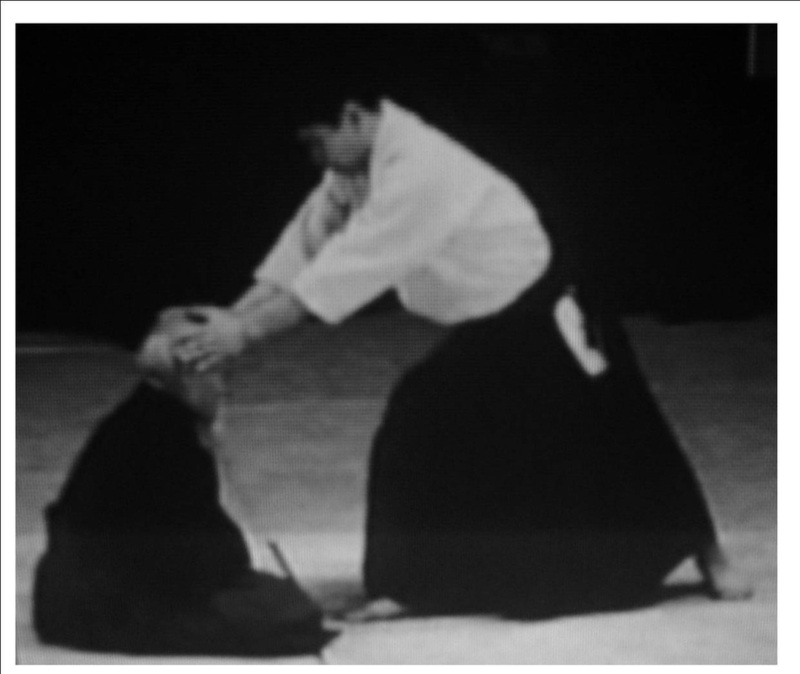 ​This utube clip shows the essence of Aikido as taught by the founder himself. A man we purport to follow yet mostly seem to ignore. The founder is known as the great teacher, but I ask you, ‘Do you know anyone, living or dead that reached the same level as O-Sensei? So, if he was the great teacher, why couldn’t anyone else reach his level, despite commitment, techniques and principles? What he knew, at an esoteric level, he could not teach. Paradoxically it may have been the very mastery of his art itself that prevented him doing so. If the secret is embedded in another person’s own ability, how can it ever be yours? Many believe that O-Sensei was the benevolent guardian of the great secrets by which means he achieved what he did. In fact, he tried his best to share them but often left his students puzzled. Many follow in his footsteps hoping that they too will find this illusive ‘magic’. 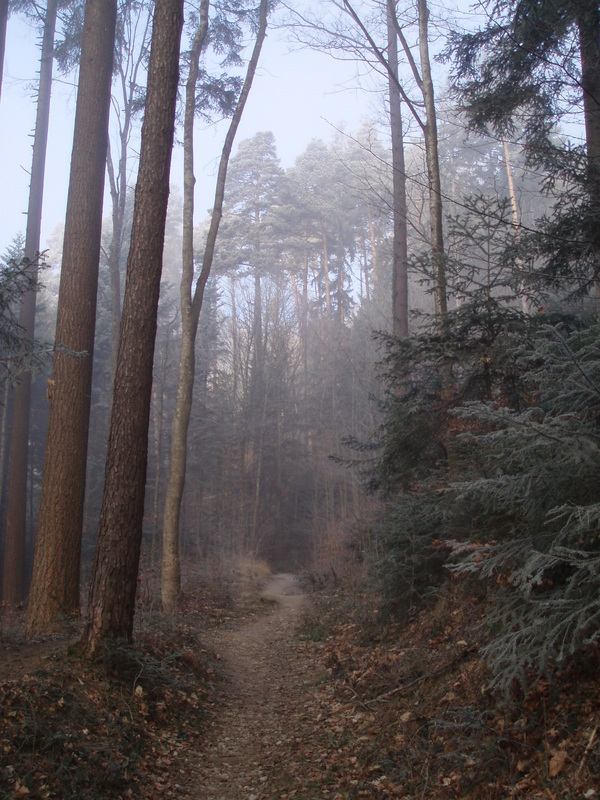 Is it a path to within self or to somewhere far beyond? How much of it is physicality, how much, the application of mind. How much is of the spirit? How readily we use the words harmony of spirit to describe our art but do we really understand what spirit is? Without knowing what it is, how can we then find harmony? Are we tripped up by the invisible? Is finding spirit one of the true secrets? The implication of a secret is that it is something being withheld from you by another, yet all unknowns are secrets and some unknowns will stay that way for eternity. Peter,2009, had sought the secrets for and by his self, he was invincible, finding his freedom had led him to places where energy became visible to him, even the strongest man present could not hold him; he was at peace with who he was and where he was. His freedom to experiment, study and practise without constraint led him to understand what others see as secrets. So, although we need a teacher, it can be the shadow of that same teacher that shackles you to certitude and prevents your own discoveries. You can never know his secret; you can only find your own. “Inward truths and mysteries are inevitably secret for those, who lack the faculty to perceive them.” W.Wilmshurst. Become calm, become quieter, and all that was always known to you will be revealed, and when it is, you will never explain it, for such words do not exist in the thinking world. Hence the old saying, "He who speaks does not know, he who knows does not speak." A true secret is exactly that … subtle, powerful and indescribable. “We sit around in a ring and suppose. Seek peace in the world and find only illusion, for peace can only reside in those who walk that path. No doubt like many oriental words, the meaning of ‘takemusu’ is liable to interpretation and the singularity of the word itself belies the volume of meaning it carries. In fact to those who know the kanji, it is debatable if the word 'musu' is correct, however, semantics and Chinese origins to pronunciation aside, this is what O-Sensei called it. That alone should be good enough for us if we are willing to understand what he was prepared to share. The heart of it is, Takemusu relates to the spontaneous creation of technique during a moment of harmonisation between attacker and defender. (Possibly even the use of the word defender may be too strong. The act during the takemusu moment is natural, peaceful, effortless yet unstoppable, to use the word ‘defend’ creates an impression of more overt effort and an imposing action.) We know by now that words are an imperfect tool and that only the foolish will take them at face value. 'The wise hear one word, but understand two,' is an old saying of some merit. If we take the analogy of war. One country looks at another with which it has grievance or designs and if it thinks it has the power to overcome that country it might attack using its military force. But supposing the attacked country has skills, culture, weaponry or whatever, that stops the attacker's advance. There is a moment when the attacking country realises their mistake and seeks a truce. At this point two conflicting views come together as one view – that of the truce. Two opposing forces temporarily live together in harmony and terms are settled in favour of the country which was attacked. Remember the attackers have realised their efforts are to no avail, they have no hope of succeeding. If the country which was attacked negotiates a peaceful settlement without causing great suffering to the would-be assailants then the attacker can accept defeat. Should the winning side impose draconian reparations upon the loser then they have become the attacker and as history has always shown a vengeful continuation of repeated wars is the result. I think that the truce in war, with all its realisations during a short period of non confrontation, is much like the Takemusu moment. It must carry honourable principles in order to have a lasting legacy. Further to this, I think takemusu is more than just a moment in time. It is a moment in time that embodies the trained principles of your aikido and the spirit that was invoked by our founder. In the execution (unfortunate word) of our aikido, mind must connect with body and yet being 'in the body' is more powerful than 'being in the mind'. We need to be balanced or our own consciousness is restricted, our 'inner' must be in accord with our 'outer' if our power is to manifest itself. In the takemusu moment, do not exert yourself in a way that you feel your own power, if you can, then you are becoming the attacker again. Your attacker must not be able to understand your power, only know it exists. The attacker (or Uke, partner etc in Aikido training) should reach a point where they realise it is futile to resist, in fact there is no desire to resist as no direct force is felt. With their balance taken they are lost and will fall it is unnecessary to add force to their fall . . . it is their turn next, just like in the history of wars. So it is not just down to correct technique but the timing, manner and judgemental free attitude of the aikido practitioner that allows the takemusu event to be successful . . . physically and spiritually. It is almost an act of kindness in the face of the enemy, and one cannot defend oneself against kindness. On a personal note here, I have never been one of those brave ukes, but when my teacher threw me in Koshi nage I was happy to go with it. There was no force applied that I could resist and therefore to flow over the hips and to the mat seemed like the most desirable direction to go. Compare with some people who grab your arms and physically try and wrench you over, using an arm to flip your legs and perhaps giving a quick hip lift to ensure maximum effect. Once you feel the physical or known power of the thrower then you can resist, because you understand what they are doing, you know how to stop them. And the war continues. This is not aikido and certainly is missing the magic of takemusu which is effortless, kindly and superbly effective. The truce leads to a peace with honour. I’m sure that many of you will already know a great deal more about the point of contact principles and through this newsletter might share your own insights. Let us travel together a while and see where we might agree and help each other. Surely principles in Aikido unite us, even some principals may not. It’s a paradox that followers of Aikido sometimes fail to engage in its philosophy with other clubs, teachers or styles. This is a route to conflict and disharmony – how strange is that? I’ve picked a Jo nage technique just to illustrate my current understanding about the point of contact. We all know that written articles cannot transmit perfect understanding; there’s no surprise that this one’s no different. 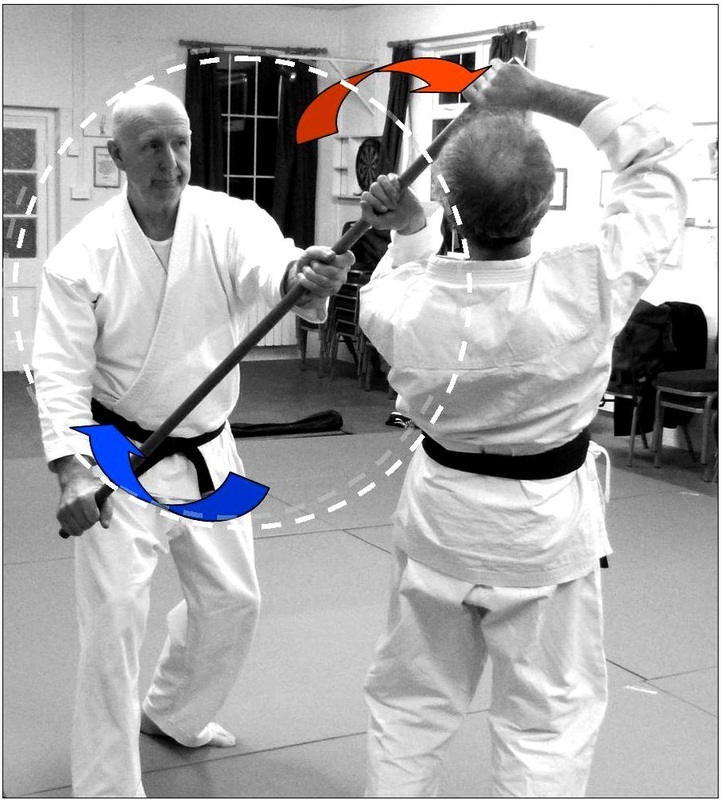 The photo shows the technique half way through and about the place where movement can often become difficult for nage, a place where they may be tempted to add force to the point of contact and so become the attacker. If nage feels the struggle at this point then they must be in conflict and therefore not Aiki. They are in conflict with their partner, in conflict in their own mind and in conflict within their own body. Ego, the need to be the winner, the greater enemy living within, can prevent effective aiki. Human beings usually enjoy the feel of their own power, that desire can cause problems. (It begins the moment a child first presses their feet against the floor – they just love that feeling). At any time you feel your own power realise that you only feel it because it is coming back to you. If it’s coming back to you it is available for your opponent to use against you. At the point where you no longer feel your own physical power returning, (note carefully that this does not mean collapsing, retreating or giving in – in fact the opposite will become true) the energy of the attacker is absorbed, dissipated and confused for they no longer know where to apply their own force. We can retain the point of contact for sensitivity but we should not act directly upon it. Breathing and maintaining centre is protective in itself, no extra power should be added to the point of contact as that can be self defeating. If you conflict at the point of contact the opponent will know your intention and power, in reality they are just as capable of using that information as you are. In general, mindfully acting on the point of contact only results in conflict and struggle, often this means that the strongest will win. Also if you disturb the attacker in their chosen action then they will change how and what they do. E.g. a blocked hand might invite an elbow strike instead. (This ‘non compliance’ would rarely be explored in an Aikido class, which is a shame as it relates to an important principle). Let them go where they think they want to go, let them think they are successful – in fact let them feel that they have succeeded. Though their eyes will clearly tell them that they have failed, their body tells them otherwise. The mind will almost inevitably believe body over sight and the attacker will ignore the truth told by their eyes. Back to our specific Jo nage example; a sincere, uncompromising and mindful use of, in this case, the right hip results in a harmony at the point of contact with the attacker. It also allows retention of a balanced centre throughout. Everything moves around that centre and remains the case whether using the hips or stepping. There should be no slack in the body, or mind either, as you should be as one, united in principles; a relaxed concentration with open joints should permeate your entire body, in relaxation, energy can flow. Major blocking points for our own energy are shoulders, neck and hips; the block is caused by tension. 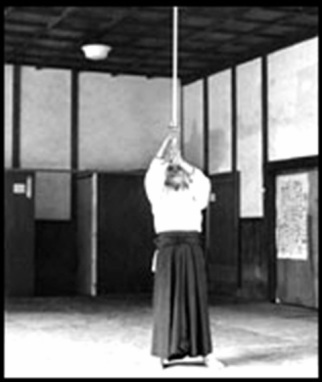 For all the skills of many Aikidoka, their own understanding of body awareness is often sparse or nonexistent. I believe this to be an error in many of our studies and may well find correction in Ki style exercises and some mind/body meditations too. Avoid putting your own mind at the point of contact; this deprives them of any messages of conscious intent. If the opponent is unaware of the intention or location of your power then they will find it difficult to respond. Remember, they will believe their body over their eyes. To enable whole body power at the physical level and this is where body awareness comes in, you need to cross connect your body, i.e. opposite arms and hips. This cross connection of the body creates great internal power – why would you not want it? There is nothing wrong with being powerful, just take care how you use it. How often has the teacher said, “use your hips”? How often has the teacher said, “this is how to use your hips.”? How, is very important and training with weapons is a useful mechanism to exploit the understanding we need. It’s too much to go into here but the hip should feel like it is melting away, disappearing, it is not a solid feeling of engagement. It’s all about body awareness and the intelligent use of mind. Power can be delivered to the point of contact or more accurately power travels through the point of contact without force, without conflict. Providing you do not act mindfully at that point itself. The lesson not yet taught. Perhaps some bones to pick through for the student of the way. Actually it is now delivered, however the delay in teaching robs one of the fire that first inspired the ideas. Lesson learned ! You might find something of interest, you do need to read it realising it is a lesson plan and not an essay. When facing a push remain soft but retain intention/imagination at all times. Never lose your whole body connection or the connection with your ‘attacker’ which must be made right at the beginning and kept throughout. As they push, opening your body disperses their power. Closing is concentrating power then returning it on your own terms not theirs. Squeeze the energy … stay connected. If you feel tension in your own joints and muscles your power can be returned to you. . don’t ! Aikido – are you looking at a version of realism or the art? Your choice. When being pushed and the body locks up there are ways out of this. You can engage (relaxed connectivity) hips or even elbows. Initiation – a way in which they move first but you arrive first. Using mind, pre-empt, remove and they follow. Relax – this is essential – no posture should be offered. Relaxed connectivity required. Help Uke to where they want to go. Nage should support Uke without disturbance. When Nage moves away then Uke should fall. Try never to let your own gravity rest upon another for it is then not yours alone to control. Planned practical where students choose their own techniques but take Uke only to the balance point. An exercise in guiding Uke to unknowingly give up their own control of gravity. Planned practical a ’pushing hands‘ type partner exercise where each student observes the opportunities created for technique. A sort of takemusu journey. ‘Never let their force meet yours’ should be part of this journey. Planned practical using any technique of student’s choice, execute it without ever becoming the attacker. Note. Both Nage and Uke must be able to recognise aiki in the technique. If the technique becomes an attack then can Uke become Nage? Finally, a reminder that a big part of Aikido is always missing on the mat …. The opportunity to avoid any attack in the first place ! A smile means more than you would normally think. A smile is reflected by and in your own body. Smile and your body relaxes. Scowl and you tense . . . . your expression can determine the state of your body. Try it for yourself. A relaxed body is more healthy, quicker and even more powerful than its opposite. See also the Tiger and the Goat article. all about a change of feelings and about being body aware. This is a tale for your imagination and hopefully an experiential journey through the mind and body of both Goat and Tiger. If you can access these feelings your martial arts journey will be all the better. . . in so many ways including health. I recently (2014) met and trained with an excellent German therapist who effectively used animal Chi Kung as a method to ‘cure’ people of psychological trauma. This short article is not aimed at doing that but you may just be surprised what benefits you could discover for yourself. The more essentially body aware you are, the more you will experience and any changes are easier to make. First, on body awareness; a little experiment; Look at the palm of one hand, think deeply about that hand and nothing else, stay relaxed and focused. It’s almost like you are asking your hand what it is like to be a hand … then listening attentively to its answer. You may feel tingling in the hand or warmth, heaviness or perhaps even a presence that you had never noticed before. If you are aware of such sensations, no matter how subtle, you should be able to easily explore the rest of this article. Let us suppose we are the Tiger, we have been chased and frightened by hunters deep into a wilderness. Our short lived, adrenalin fuelled panic is over, the hunters are now far away and our tormented, mindless, crashing through dense woodland is a thing of the seemingly distant past. We are completely safe at rest in the shade of a great tree from which we have an easy and commanding view over a sunshine filled forest valley and a winding animal track that runs through it. We are at peace in our mind and our body is totally relaxed. There is no tension, complete peace, only the comfortable presence of soft and calm breathing is our companion; not even the leaves are stirring in the warm still air. All during that day our friend, the goat, has also had this same sense of peace, wandering through the small valley stopping in patches of sunshine, feeling the warmth, eating at will. Whatever the goat fancied eating, it did. The goat’s sense of peace is at one with that of the Tiger’s. Life was good, calm, happy, a joy to be at one with his own body and mind. Oblivious to anything bad in his happy world the goat walks the path, the path of his ever diminishing lifetime, towards the great tree. He has no mind of the Tiger, he has no mind for aught else but peace in his whole being. He knows no fear for he hasn't read the book! Only you suspect the tiger, the goat doesn't, nor does he suspect his life is only as long as the path he’s taking. Let us return to our Tiger; if you can, try and put your mind into how the Tiger might feel. Relaxed, breathing naturally, mindless yet awake. Feel that relaxed state in yourself as though you are one with the Tiger. You may well think you are relaxed but often there is still further to go . . . relax your jaw muscles and relax your throat, feel that extra relaxation spread throughout your body. Relaxed muscles allow maximum energy and unrestricted blood flow. The Tiger (you) is at peace, as one with the universe. Now the Goat comes into view along the path. If you really were the Tiger try and imagine the changes in feeling and focus within your body. The Tiger does not jump up nor become tense, instead the Tiger will gently connect all its muscles and its spirit as one, there is a soft but definite connection throughout the whole body, there are no gaps in connection, the act of moving requires no slack to be taken up anywhere. The connections in the body are created by the mind . . . your mind. . . and not by tensing the muscle groups to form a structure. Any structure is counter productive and will slow response; instead, the relaxed connectivity provides an instant and speedy response to the Tiger’s will. You might experience a similar feeling by taking a gentle breath in and as you do so imagine your whole body gently expanding ... like a balloon does. Though expanding, still relaxed. 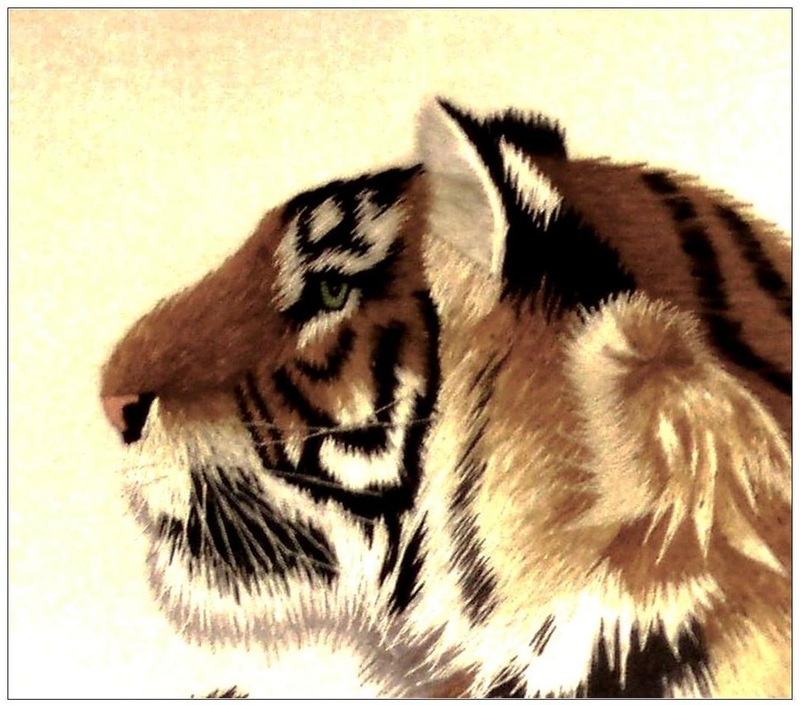 With luck and a bit of effort you will have experienced what it is like to be the Tiger as it spots its prey. This is all I hoped to share this time but there is always more. The Tiger will not move until its hunting distance is optimised, the goat will not notice until the Tiger moves. What of the sensations felt by the goat? Tension, fear, panic and escape if possible, they are the opposite sensations to those of the hunting tiger who had also endured such feelings earlier in the day. Perhaps were the Goat not to run and trigger the prey instinct but to stand its ground, not in defiance but with a sense of universal love, then perhaps the Tiger would not see prey any more and perhaps once more the Tiger's feelings will change. Life isn't always like that but there are occasions when it can be. I hope you found something of interest in this experiment. It is what you experienced, what you felt, that counts. Early one fine summer’s morning, when an Ionian Sun had just risen above the skyline of Mount Aenos and yet already bathed the garden in a fiery light, the student selected one of the brooms by the back door and headed left to a nearby leaf strewn path. Lesson one, be careful what you choose; that means both broom and path! He knew there were lessons to be had in sweeping the path; lessons often more profound than we can imagine; perhaps one would show itself this day. 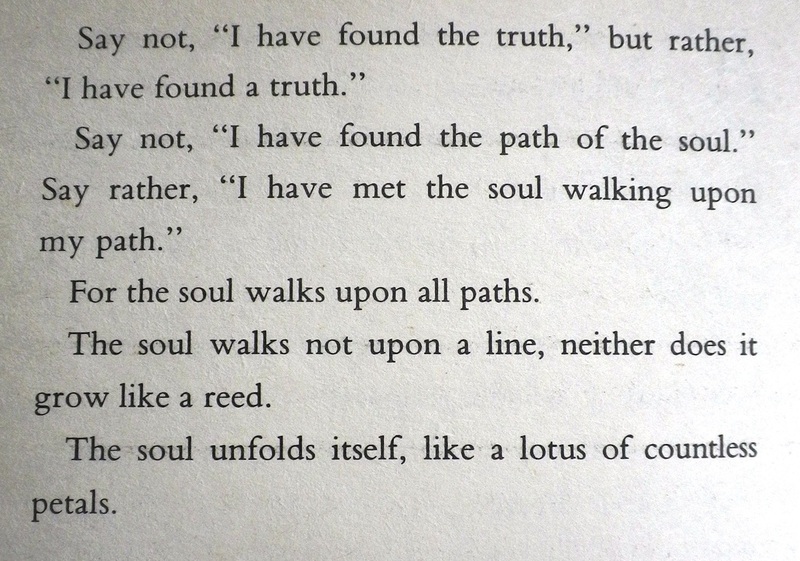 There are, of course, many paths, each with its own teachings; the one shown above left is not the one he chose; why might you think that it was? Seeing is not seeing. The answer will always be an opposite of that which you at first thought. Think on this, for it is a valuable principle to use in life. The uneven surface of the grey, crazy paved stones seemed to trap the fallen eucalyptus leaves that strewed the path. The brush he had inadvertently and unquestioningly chosen was a stiff bristled synthetic affair and he at first blamed it for its failings, indeed he blamed it for all failings, thinking that a wider, softer one would be much more effective. Was this the lesson? No, it seemed not, there surely must be more. Keeping the brush he had chosen but changing the direction of sweep soon had the reticent leaves shifted from their erstwhile homes. Could this be the lesson. . . changing direction? It was certainly one of sorts but surely he must look further, deeper. Perhaps using the brush was just practice for the Jo. Could it be that simple? 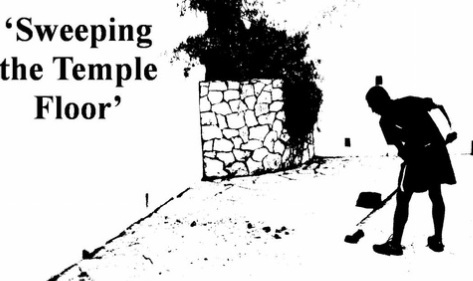 He began to move leaves from right to left so that he could more easily sweep a whole line of them over the edge into the wild oblivion that lay beyond the formalised garden. This wasn’t a punishment for the leaves; they were going to be happier where he sent them. Most went willingly. His plan functioned reasonably well and the great majority were easily brushed away and dismissed from the perceived ‘battlefield’. It however left a few tenacious, conflict hardened beasts that denied his every move. Even on flat stones the elongated Eucalyptus leaves clung like limpets. The harder he brushed the more they resisted, looking up mockingly at his efforts, laughing, as if they knew the secrets and they could see that he did not. The more strength he added to the brush the closer it came to failing in itself, and he with it. He paused, relaxed a little and instead tried the lightest touch with the brush and there in the capitulating tumbling leaves lay the answer. Use correct technique and never add power; concern yourself only with disrupting the leaves’ stability, only engaging a direction which will prove useful. Then the leaves will cease to become opponents but become partners on the path. No energy was added to the weight of the leaf by pressing, instead the energy ran parallel to the ground and once the leaf was ungrounded it was at the brush’s mercy . . . and none was given ! Another day arrived; another brush was chosen yet the same Sun and before them all the same path fresh strewn with wind blown debris from the generous great Eucalyptus that ever shared its leaves with the earth. The brush, new to him yet perhaps old to others, was softer. “This is much better,” the student thought satisfyingly, “much better. . . no need for great pressure, this soft brush is working well.” Each piece of stone was swept, each piece of stone was new, and each sweep of the brush was new. Perfection was sought with every action as if it was unique and all that existed; smooth, flowing, efficient and successful; then, on to the next stone and the process repeated in a manner as if it were the first time. Suddenly a gift appeared before his eyes, there in the stones so carelessly swept before, he saw the signs of ancient life. 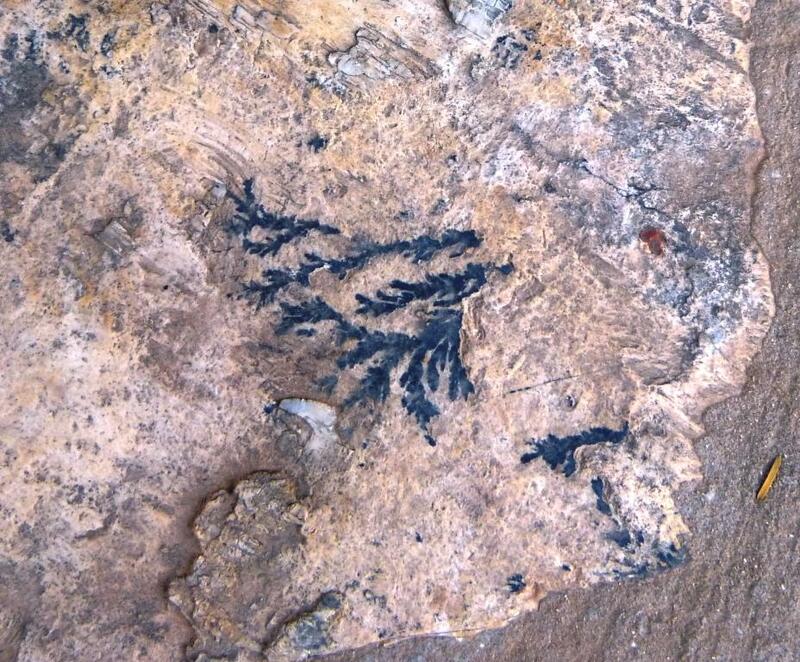 . . fossilised plants and perhaps a promise of more to find. Now each stone was brushed more carefully, the student’s awareness raised to what the moving leaves might present. What joy, what discovery might be behind every leaf on the path. . . the destination became the path itself. The routine of sweeping a path became a series of profound lessons. Brush, leaves, stones, the path and the student himself all took on new meaning. When someone asks you to sweep their path accept it as a gift and think on what I have written, for nothing will ever be as you think it is. Much if not all of your world is illusion, as may this be too. And now here is a space for your own discoveries . . . . Ask, "Why did he do this?" and "How did he do that?" "When there is opposition harmonise with it on the spot"
"Know how to discern the hidden"
"Do not attack your opponent". “When you are deluded your own mind becomes your enemy." “Your attitude to life determines its outcome”. O-Sensei wanted Aikido to reconcile the world in peace. A noble and worthy sentiment, but is it possible? Without conflict where does your aikido get you? For anything to exist there must be an opposite. What you read now is dark and you are only aware of it because the background is light, if it were dark the words would disappear . . . you need opposites for existence. Let’s explore just one idea for personal development in Aiki, that of opposition. The Chinese use the expressions Yin and Yang, (Yin is passive, Yang is active. 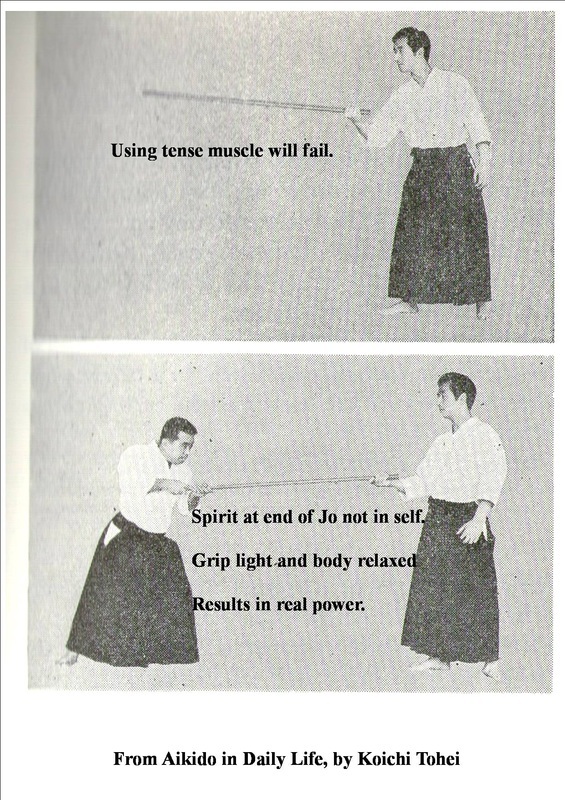 From 'Aikido and the Harmony of Nature' by Mitsugi Saotome. "In Kannagara the counterparts of Yin and Yang are aramitma, spirit of firmness and strength, and nigimitama, spirit of flexibility and gentleness." They are opposites but not necessarily in conflict, they complement each other in harmony. Is this not Aiki? That for which you seek? Is it possible that at the centre between the opposing forces there is a ‘magical’ place where you can engage with the inner, innate you, and be in tune with the universal Ki. We’ll try and look at some practical matters but I hope you will be able to look further at how your very soul, your way of living might change too. I’m going to presume that you have some Aikido basics, in particular with the Jo. Let’s use the basic thrust or Tsuki for our purpose. Pick up your Jo or even pretend you have one, make a thrust and stay there for a while as you consider how it ‘feels’, your posture, your balance, your power. In the process of making Tsuki there are many subtle movements, too many to consider here, except for the basic large physical movement forward. Remember that we said earlier that we must have an opposite? We obviously cannot match the physical forward thrust with a physical backwards one, for both of these are Yang or active. What we can use though is Yin, physically moving no but energetically moving yes. Your mind, Ki, Chi, Yi, imagination, pretence, call it what you will, can project back on the same plane as the forward thrust. Your mind intention flows in both directions but the emphasis is backwards. . . almost like it is the propulsive force that drives the Jo physically forward. Try your basic thrust again then project your mind back along the line that the Jo took. Stay a while and ‘feel’ what has happened. You should find that you are more stable, centred, and relaxed, you will be more powerful and in more than one direction. . . get someone to test you. The place you have found is that ‘magic’ place where the inner you resides and is at peace. Relaxation leads to opening of the body and opening the body leads to space, the space in which the real power seems to live, the essence itself. Ai ki do . . harmony spirit way . . . note it doesn't mention body. These are the 'layers' we added to our innate self as we went through life. Practising other arts like yoga or tai chi can help to open the body and by continuing to practice through these layers you can come out the other side and be closer to who you always really were. The journey is the goal and is ever onward; the innate in you was always there – can you find it again? To quote an old Chinese saying, “Peace lies not in the world, but in the man who walks the path”. So, the question was, 'peace or conflict', I think if you can access the space between then you can touch both and there find a harmony you otherwise would never realise existed. . . enlightenment. In many an Aiki Dojo across the world it is not an uncommon day break practice to sweep the surrounding yards and pathways. Why is it done? For the pride in your Dojo? To keep visitors feet clean for the tatami? So that the Sensei can exert power over you? Because the Sensei had years of path sweeping under his belt too? Let us consider our reasons. The early morning cleansing sweep is no different as dawn rises at Sensei Tony Sargeant’s Koriana Dojo on Kefalonia. The change is not just for the path surface but for the sweeper; perhaps the sweeper becomes the swept. Rising before 6.00am, students sweep the paths and courtyards of the Koriana Dojo in the warm dawn air; as they sweep pristinely onwards nature acts as nature does and once more decorates the ground with fallen leaves and bougainvillea flowers behind them. What change there? … the ground itself is still the same. . . only the leaves are new. The circle is endless. Perhaps in this we have a clue. We may also, through our endeavours, recognise that which we can change and that which we cannot; another clue as to purpose. You sweep for the sake of others, that their efforts and sufferings as they may be are not worsened by your own omissions or lack. You let no one down; a humble and humbling task has become an honourable achievement; a sense of this flows within you, you are a small step further down the path of Aiki, a small step, a small victory. Perhaps the ‘why’ and the ‘how’ of the matter are inextricably entwined. Is the purpose only to have a clean path? No, it surely is not, for that is a destination that may never be reached. As ever, the path is the goal itself, the path you walk is your destination. I share with you here my own current and no doubt transient understanding which I encountered while sweeping such a path. Time – it is always so hard to find the time, so we have to make the time, and the Dojo at dawn is when you make the time to sweep the path. Control – how to hold the brush and explore tsuki or gedan gaeshi; a chance to explore the inner connections of both body and mind in a peace of your own making; a chance to repeat the movement a thousand times yet with each movement of the brush to engage the beginner’s mind. Beginner’s mind – the beginner’s mind is ever in the ‘now’. Each new sweep of the brush is a ‘now’ moment in which all is new yet all is changing. No preconceptions about the next sweep, no memories of the last one. . . unless you broke the brush. Think on this next time you practice in Aiki. Inner calm – as you begin to sweep, the thinking mind is active yet soon transforms to the intuitive state as the simplicity of your task leads you to a calmer state of mind. Attacker or attacked ? - perhaps the path is uke to your nage. . . or perhaps it is nage to your uke . . . or is it neither. . . and you are one. . . you decide. So many lessons there are on the path, be attentive and they may show themselves. The text on the left is from The Prophet by Kahlil Gibran. I think he speaks of the most important part of us that walks the path. There is something inate in all of us that was there from the beginning and no matter how we change our bodies or our mind this one thing is a constant. It may be well hidden in some but none the less will be there some where. "oh, they are a dear little soul" ... "Ah ... he has no soul" ... just expressions you may have heard that give away the secret. All of the great masters in the end or sooner connect with the spiritual .... perhaps we too should add it to our training. 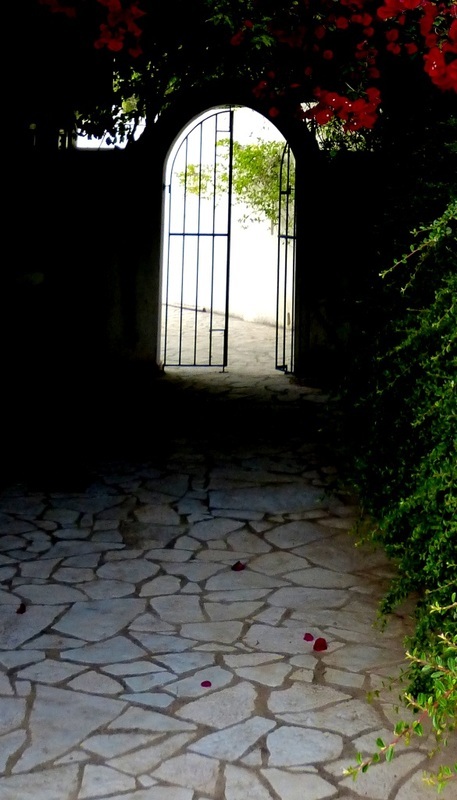 On our way (Do) through life we pass by many doorways of opportunity. Some we do not see, some we see but do not stop, some we try but they do not open, some open but we enter not therein, and some we enter through. Beyond those doorways we entered there may be an enlightenment, a discovery, and experience, which we may or may not recognise for what it is, for 'seeing is not seeing'. 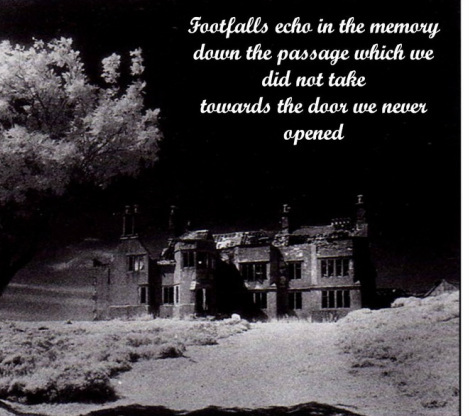 Sometimes we try to return to a doorway having realised its worth but now it may not open for us. We are indeed fortunate if we are awake to the opportunities that unfold before us, as you may be now. Many times we awake when the path has long ago passed by that doorway ... even in that there is a lesson to be discovered. The path is the goal itself and the goal is not the destination, for there isn't one, we only think there is. Our path is blessed if it travels through time in Ai Ki (harmony of Spirit). Keep your eyes on the path and what is on it. Beware that the fog of thinking can obscure the doorways, consider the paradox of not thinking and yet all will be revealed. Just like a rolling stone gathers no moss a moving mind gathers no thought. Keep the mind moving. Thought is not required, what is required is inspiration and intuition. Both of these will arrive uninvited when the thinking mind is quiet. 'Calm is always the key'. 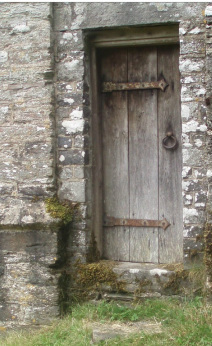 A doorway I never tried. Relaxation allows extension of the body and opening the joints. Relaxation enables energy to flow; there is more ‘mind’ to it than we often think or use. It is less ‘willpower’ but more a subtle imagination or belief that is required. Willpower can create its own tensions and blocks. A relaxed body is a united body and therefore has more power. It is said, “where intention goes, energy flows”, but examine carefully the possible differences between where your energy goes and where your intention goes. Intention may be one directional (simply stated here) but energy may be expanding in all directions. Your imagination or belief for want of better description can also lead your energy or ki in other directions like spirals and circles and at some distance from your body. Sometimes this will defy all logical thought, but explore it none the less, for 'seeing is not seeing'. I think I am beginning to understand something, I don't know it enough to explain and if I could it would do you no good as you must find it yourself. However the great secret is ... that it is just simple, and that it is available to everyone, it is naturally the 'normal' way we should be ...except our inner dialogue creates a resistance that prevents that 'animal' normality, that oneness with heaven and earth. We must search to find a different way of looking at our world, the word 'spirit' has value and meanings beyond our material understandings. Your intuition is usually right ... but how often do you listen? Easter 2012.
remain calm and do not be confounded by the enemy or his weapon. obliterate the opponent's evil intentions." Next we'll look at some ideas on unifying the body posture to generate more power .... more power means less effort ... believe it or not. The ideas shown below are my own, so don't blame my teachers ! However, it does fit with what we call an 'internal' art. Firstly though, the knees . . . made to move more or less in one direction or plane. The knee joint will not be comfortable if bent in other directions or twisted .. ask your own knees, they will tell you. So my advice is to align the knee centre with the middle of the foot . . . the long toes. 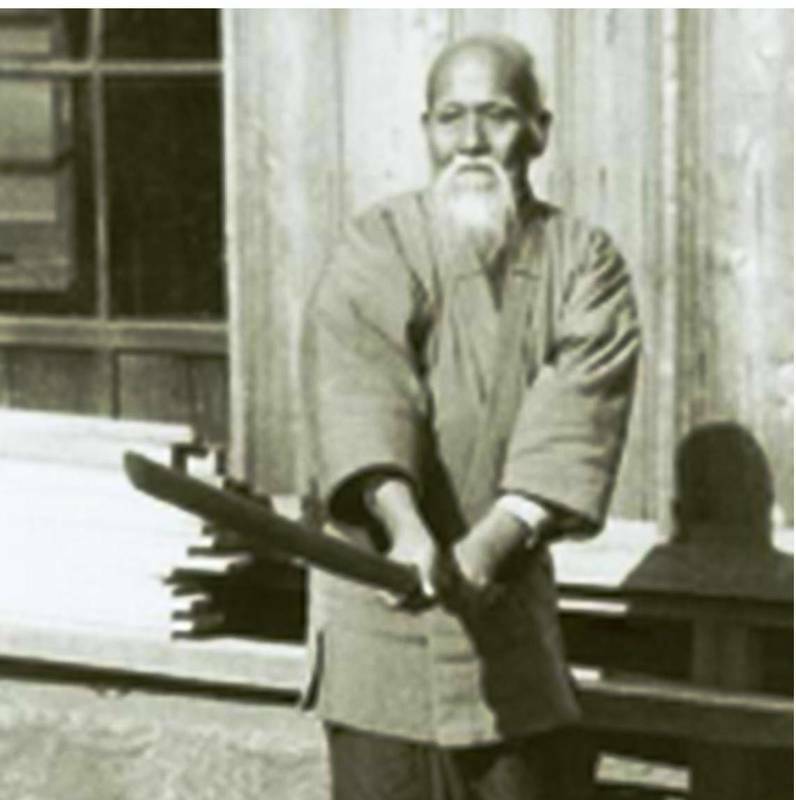 I am given to understand that in the USA successful claims have been made against tai chi teachers that failed to cater for this very point in their teachings. 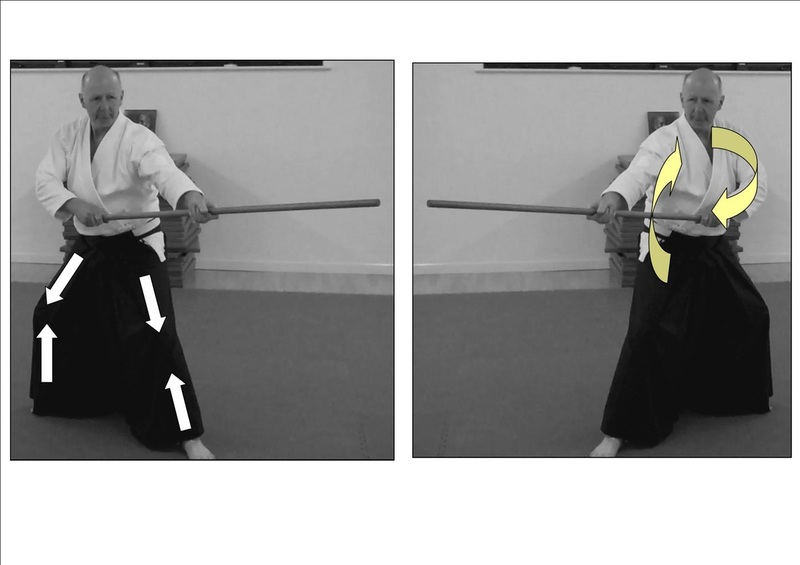 Photo on the right, below:- I'm trying to show that you can set up a 'circle of connection and therefore power between the opposite arm and hip, ie right hip and left arm as shown in the picture. The same is done for the other opposites (right arm and left hip). It is hard to explain but I'll try ... the hip crease is drawn in a little but the feeling has to be that it is opening .. almost as if it feels it is going forward, which results in the energy making an arc .... part going to the ground and part raising the ribs slightly. I think this is valid but represents my opinion only. where he wants to cut."